To God, you are a precious pearl. He has promised to guard you. 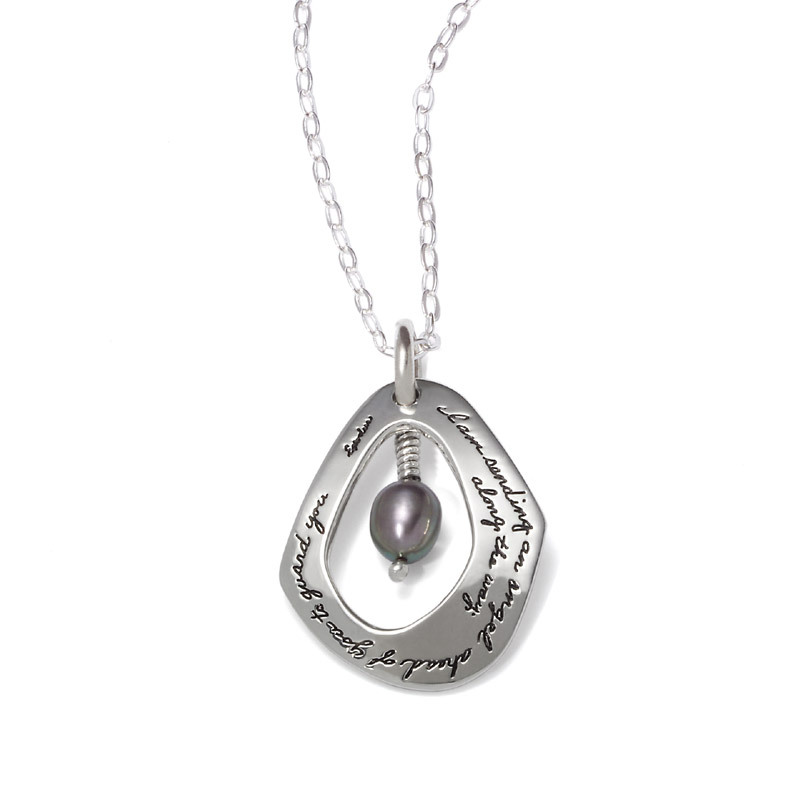 You may feel lost on uneven paths with sharp turns but the open space surrounding the pearl on this necklace reminds you that He offers a cushion of protection. In the story of Exodus, God sends an angel to guide his people through the wilderness to the promised land. He wants to do the same for you. Whenever the wearer touches this necklace, it will remind her that God is there for her. This is an inspirational keepsake for someone you love or even for yourself.